Best Wishes for a Merry Christmas and a Great 2019! The brilliant stars of the Christmas Tree star cluster, a young open cluster located in the constellation Monoceros, part of the NGC 2264 region in the Orion Arm of the Milky Way. 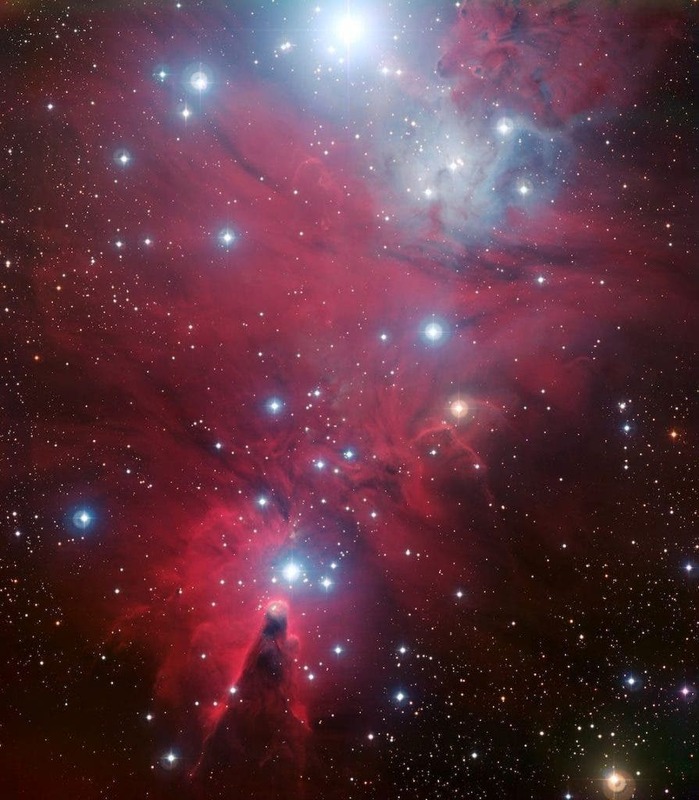 The triangular tree shape is traced by the stars with its base of the Cone Nebula.